Biological and geophysical fluids host a sea of microorganisms many of which are motile. An often overlooked aspect of the life of such microorganisms is that the fluids where they are suspended are not still but flowing. In this brief review published in EPJ E, the authors aim to describe some of the interesting phenomena that can emerge due to the modification of the microorganisms' swimming direction by velocity gradients, which affect both the individual motion of microorganisms and their spatial distribution in dilute suspensions. 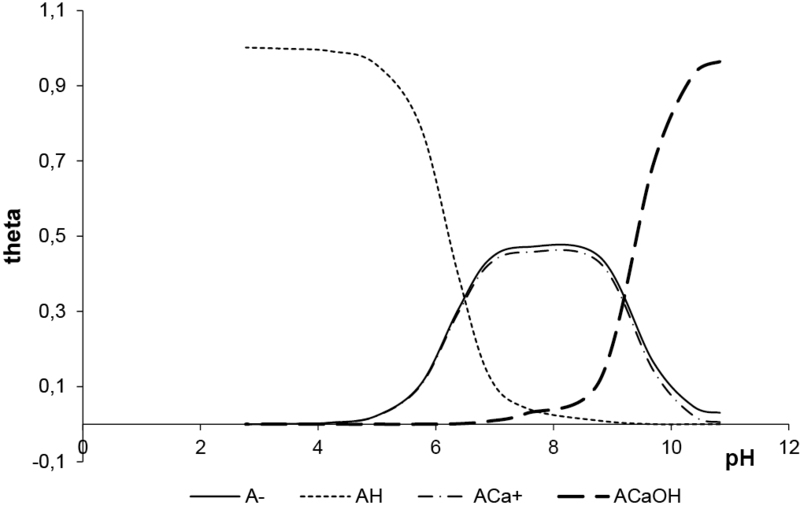 Coverage of the lipid bilayer membrane surface with ions, as a function of pH. 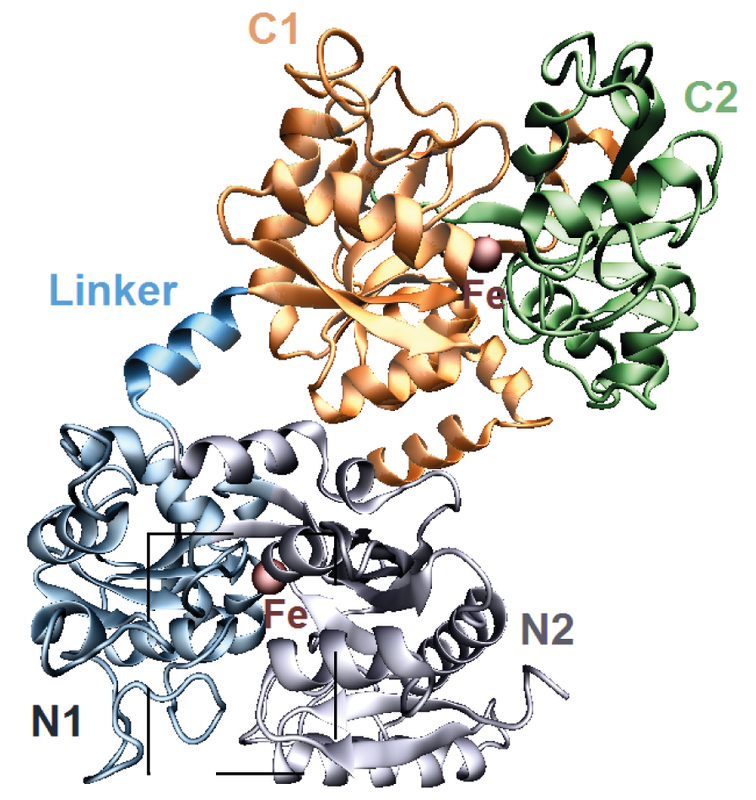 Ions with two positive electrical charges, such as calcium ions, play a key role in biological cell membranes. 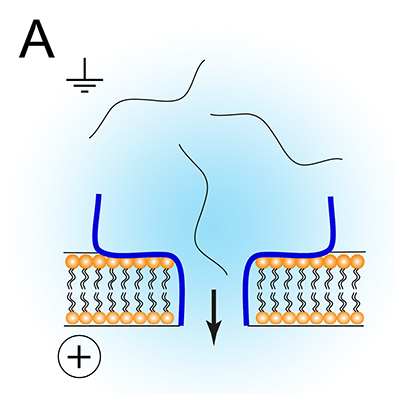 The adsorption of ions in solution onto the membrane surface is so significant that it affects the structural and functional properties of the biological cells. Specifically, ions interact with surface molecules such as a double layer of lipids, or liposomes, formed from phosphatidylcholines (PC). In a new study published in EPJ E, Izabela Dobrzyńska from the University of Białystok, Poland, develops a mathematical model describing the electrical properties of biological membranes when ions such as calcium, barium and strontium adsorb onto them at different pH levels. Her works helps shed light on how ion adsorption reduces the effective surface concentration of add-on molecules with a specific function that can take part in biochemical reactions. These factors need to be taken into account when studying the diverse phenomena that occur at the lipid membrane in living cells, such as ion transport mechanisms. Introducing bend in the liquid crystal layers. Imagine a micron-sized ball of fluid enclosed in a thin film, similar to the film in soap bubbles, but made up of molecules resembling liquid crystal. These molecules can lower their overall energy by aligning their directions with their ever-changing neighbours—a state referred to as smectic phase. 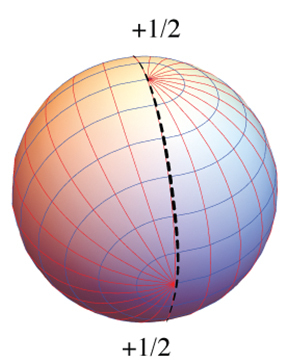 This means stacks of parallel stripe-like liquid-crystal layers form in the film. In a new study published in EPJ E, Francesco Serafin, affiliated with both Syracuse University, New York, and the Kavli Institute for Theoretical Physics (KITP) at UCSB, USA, together with his advisor Mark Bowick, also at the KITP, and Sid Nagel, from the University of Chicago, IL,USA, map out all the possible smectic patterns of such spherical films, or sac, at zero temperature. They determine the conditions under which it becomes easier for such sacs to pass through biological membranes and, potentially, deliver molecules attached to them at specific locations. Microscopic model of the shale structure. 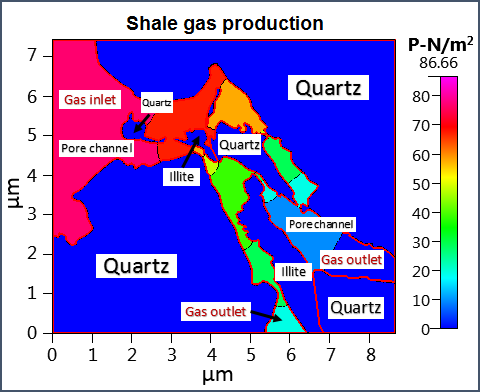 A new study outlines the key parameters affecting the production of gas from shale reservoirs, by simulating what is happening at the microscopic scale. Extracting gas from new sources is vital in order to supplement dwindling conventional supplies. Shale reservoirs host gas trapped in the pores of mudstone, which consists of a mixture of silt mineral particles ranging from 4 to 60 microns in size, and clay elements smaller than 4 microns. Surprisingly, the oil and gas industry still lacks a firm understanding of how the pore space and geological factors affect gas storage and its ability to flow in the shale. In a study published in EPJ E, Natalia Kovalchuk and Constantinos Hadjistassou from the University of Nicosia, Cyprus, review the current state of knowledge regarding flow processes occurring at scales ranging from the nano- to the microscopic during shale gas extraction. This knowledge can help to improve gas recovery and lower shale gas production costs. The efficacy of chemotherapy treatment depends on how effectively it reaches cancerous cells. Increasing targeted delivery could mean decreasing side effects. Scientists are enhancing methods of selectively transmitting active chemotherapy agents and reducing their toxicity by encapsulating chemo drugs into active carbon used as the targeted delivery device. In a new study published in EPJ E, Gabriel Román, from the National University of the South, in Bahia Blanca, Argentina, and colleagues have demonstrated that adding minute amounts of aluminium atoms onto activated carbon atoms helps increase the adsorption onto the delivery carbon capsule of a standard chemotherapy drug, called 5-Fluorouracil (5-FU). This drug is typically used for stomach, colorectal, neck and head cancer treatments. This model could lead to more effective and convenient cancer treatments with fewer side effects by encapsulating the chemo drug into the active carbon, so that it can be taken orally. Tomsk polytechnic university has repeatedly used the services of publishing EPJ Web of Conference both for small and major international conferences. There is only positive feedback on timing the preparation of publications and design quality. It is a satisfaction to collaborate with publisher indexing quickly the publications of authors in major databases such as Scopus. Glad to cooperate in the future.